We love apples and peanut butter. 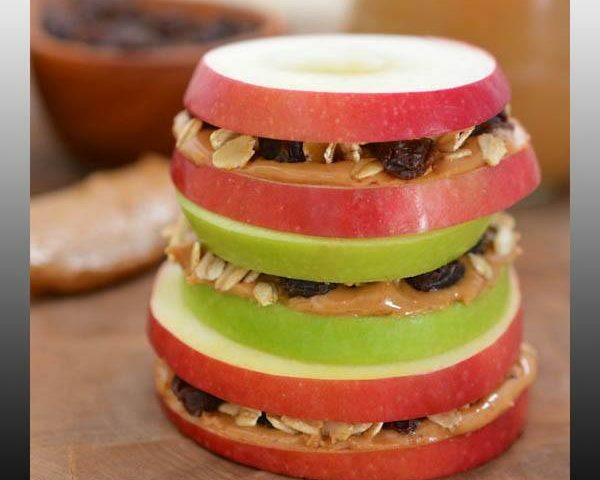 Why not combine those two favorite foods in Apple Sandwiches with Granola and Peanut Butter. If you won’t be eating these tasty treats right away, start by brushing the apple slices with lemon juice to keep them from turning brown. 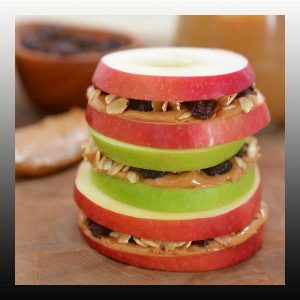 Apple Sandwiches with Granola and Peanut Butter – Healthy Weight Loss Recipe!